Saving energy can translate into big savings in your wallet. Here are 4 easy, cost-effective ways to save energy and money. Yes, your phone charger does consume electricity, even if you aren’t using it. And your television. And your lamp. This “phantom load,” according to the EPA, can cost the average home about $100. Try to plug all these objects into the same power strip. Then you can just switch it on and off without unplugging any cords. Lighting represents about 11% of your home’s energy bill. By replacing incandescent, old lightbulbs with CFLs or LEDs, you can save up to 75% on your annual lighting bill. You could save that money up for a new fuel efficient car. The typical shower head flow rate is about 4 gallons per minute (if your home is older than 1980, it could be above 5 gallons per minute). For a ten minute shower, that amounts to 40 gallons of water! However, by installing a low-flow shower head, the flow rate could drop from 2.5 gallons per minute to as low as .75 gallons. That’s about 25 gallons of water compared to 40 gallons per ten-minute shower. Toilets use anywhere from 3.6 gallons of water per flush to 1.6 gallons. A quick, cost-effective way to reduce toilet water consumption is by filling up an old 2-liter bottle, or one-gallon jug, with gravel or sand and placing it in the toilet tank. That’ll save you at least a gallon of water per flush. Think about how many times the toilet is flushed per day. Saving energy doesn’t have to break your bank. In fact, it can put more money in your pocket. Try out these energy-saving tips and let us know other ways you save energy! 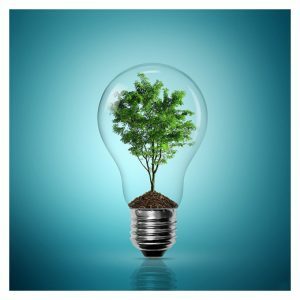 The post 4 Ways to Save Energy and Money appeared first on Apartments For Us.